In a change to the planned schedule (due to Benedict Mason not having finished his new work meld), last Saturday’s Prom featured two UK premières, both by composers rarely heard on these shores. Difficult pieces—but for different reasons—they were given marvellously lucid performances by the BBC Symphony Orchestra, conducted by Thomas Dausgaard. 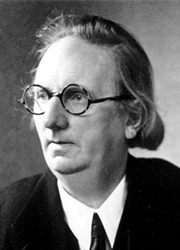 Originally intended to close the first half, Rued Langgaard‘s Symphony No. 11 ‘Ixion’ instead began proceedings, which worked entirely in its favour. Composed in 1945, Langgaard’s miniature epic is aesthetically rather like Ravel’s Bolero with 10,000 volts put through it; a single idea, bold, brash and heroic, seeks one thing: to expand. Yet that simple desire, put forward in a muscular melody carried by the horns, is continually and regularly thwarted before it’s even attained a meaningful answer to its opening statement. Again and again it plummets, again and again it restarts, each time transposed but essentially unchanged from before. Obsession and conviction are the driving force throughout the work’s brief span (barely six minutes), yet they could hardly be called its bedrock, as they never gain purchase long enough to put down any material roots. It’s not surprising that a work like this should draw parallels with the apparent psychological misery of Langgaard’s life, dogged by the perception of being ignored and sidelined. Yet the Symphony No. 11 is ambivalent in this regard; Langgaard doesn’t divide the orchestra—or its material—into forces recognisably ‘pro’ and ‘contra’. Quite the opposite, in fact; what we hear could be described as an orchestra at war with itself, repeatedly pulling the rug out from its own efforts. The conflicted nature of the piece was made all the more manifest by starting the concert; coming in the wake of such angry futility, the work’s concluding fanfare is entirely hollow, a massive capitulating cadence, resignation in extremis—yet the cheers and whoops from the audience seemed only to demonstrate that, 60 years after his death, the dark tragedy of Langgaard’s message continues to be all too easily ignored. 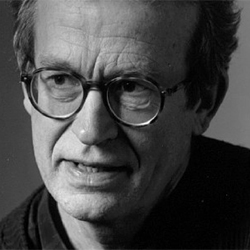 Pelle Gudmundsen-Holmgreen has a reputation for being something of a compositional hothead, and while such reputations usually say a lot more about listeners than composers, his 2010 work Incontri could hardly dent that opinion. Gudmundsen-Holmgreen marshals his forces in a highly partisan way, the orchestral sections each acting as distinct protagonists (or should that be belligerents?) in the ensuing brawl. It starts small, however, in a playful motivic idea given by the clarinets. At first the interplay—if that’s the right word for a back and forth as surly as this—is between wind and brass with percussion, but it’s the far quieter entrance of the upper strings that’s far more attention-grabbing. High, barely moving, remote from everything else—Gudmundsen-Holmgreen allows them just to hover, somewhat incongruously; ushering them into the foreground signals the end of that episode, executed by the brass and percussion, who provide the work’s full stops. Beginning again, as before, there’s now a melody moving slowly among the elements, but it’s a fragile one, first sent crashing by snare drum strikes, later retreating from horns and col legno strings. A tutti smudge momentarily interrupts things, but the sense that Gudmundsen-Holmgreen has until this point just been teasing us becomes very strong as he strikes up the makings of a dirty tattoo in the brass, underpinned by heavy bass drones, the strings hopping all over them. Gradually the brass get taken over by extensive timpani flourishes, leading to a wonderfully energetic episode for the percussion alone, a mesmerising passage. The work’s opening idea lurks at the periphery, inciting the strings to pick up where they left off, before the first of two abrupt cessations, the first of which explores that opening idea further, considerably embellished, on a solo viola, with the i’s dotted and t’s crossed by the woodwind. In a strange response, the orchestra surges and sags, and is plagued by similar dense cluster-throbs before finding its feet. Now it’s the trombones who carry the melodic intent, but despite their weight, they’re swept into the ruckus rising around them. Incontri‘s climax follows, ideas all over the place, bearing all the subtlety but also the excitement of a thunderstorm, causing the entire orchestra to become wildly intoxicated. But this Dionysian frenzy is immediately halted by the work’s second cessation, a solo bassoon proposing a counterpoint to the viola. But without warning, the piece gets distracted by a string slide and a distant valedictory percussive shiver. There are times in Gudmundsen-Holmgreen’s music when it feels like all you can do is hang on for dear life. But Incontri is a thrilling ride to be on, complex but thrilling; this time, the emphatic audience response could not have been more appropriate. The audio has been removed as a commercial recording (of this very performance) is now available. glad for Proms where Langgaardian masterpieces are sounding one by one. and sorry for missing his Music of the Spheres in your blog, Simon. this neglected genius is worth not only listening.